In today’s fiercely competitive business world, management should aim beyond survival at market leadership. You need all the help you can get. While you may know the fundamental operations of your business better than we can ever hope to know, no one is better equipped to establish a cost effective inventory control solution tailored to your unique business operations better than we do. Powerful inventory control system in Shopify POS is designed to provide you with accurate information on all aspects of inventory to ensure that the software tools are available to manage and control inventory in the most cost-effective manner possible. Creating and managing vendors, purchase orders, invoices and all other relevant transactions is one of the simplest, yet comprehensive aspects of the system. Shopify POS purchase order functionality helps you keep accurate records of inventory movement. With every order, you can keep track of shipping method, date required and the name of the person with whom the order was placed. In addition, you can confirm the quantities ordered and price per item. This module streamlines and organizes the entire purchasing process. When your on-hand quantity falls below a specified minimum level (re-order point), automatic purchase orders can be automatically generated using system default or your own advanced formula to ensure that you never run out of key items. Shopfy POS uses advanced inventory management and demand planning techniques to help you make the right decisions and increase your on time delivery metrics. 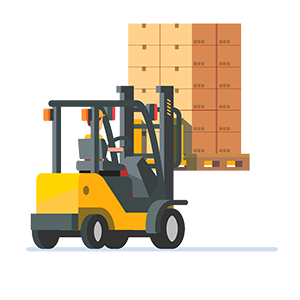 Each location where you store inventory can be set up with unique parameters to deliver unprecedented control over your supply chain. Retailers often find that some of their stores are completely sold out on one particular SKU, while the same SKU is in abundance in other stores. Inventory balancing is a great way to clean shelves from the slow moving merchandise, boost inventory turnover and sales avoiding unnecessary discounts. Shopify Inventory Management offers powerful inventory management that enables you to track, maintain, and view stock levels across multiple stores in real time. 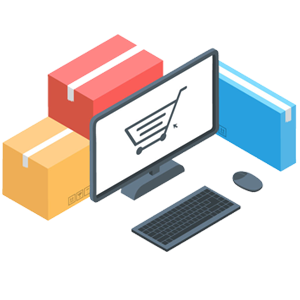 Move stock between stores or your warehouse with stock transfers, and quickly perform inventory lookups across all your sales channels. A barcode is a graphic representation of data. What does that mean? It’s just turning a number (like 123456) into an image. You can read a barcode label using a barcode scanner. The data from the barcode is instantly sent to your open PC application, so data is always error-free and doesn’t have to be typed manually. SooPOS build-in barcode generator gives you ability to design and print high quality and accurate barcode lables including major barcode symbologies such as Code 39, Code 128, UPC-A, UPC-E, EAN-8, EAN-13 and QR Code. These symbologies cover a broad range of use cases including product identification, logistics, inventory management, procurement and advertising. 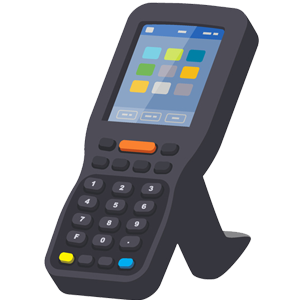 Our barcode maker in Shopify Inventory Management also allows you to design, create, and print customized mailing label. 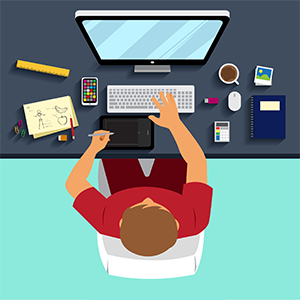 The software is compatible with any graphic printer such as Zebra, Brother, Citizen, HP, Epson, DYMO and so on. To keep inventory records accurate, it is necessary to periodically conduct a complete count of the inventory (known as a physical count). This is usually done at the end of a month, quarter, or year, to coincide with the end of a reporting period. Shopify Inventory Management allows you to prepare for stock-taking swiftly and accurately by taking a snapshot of your inventory file of a specific location or store that is used to compare actual physical count against electronic or computer records. Physical stock count at each location or store does not affect normal operations e.g. sales processing, goods receiving, transfers continue to take place, it does not “freeze-up” your back office and stores' operations. With choices of full count, selective count, spot count, you don't have to close your entire store. Physical Count Worksheet and Variance Report will help you make your physical count easier and more accurate. Consumption of own inventory – inventory that you use or consume in the course of your business that you are not directly selling to a customer, but that you need to account for in your inventory. In these cases, an inventory adjustment is used to do this. 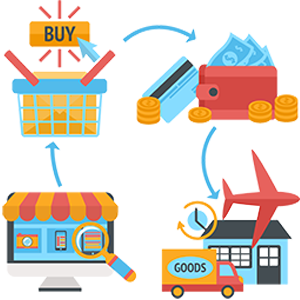 Shopify Inventory Management uses entity–attribute–value model (EAV) as multidimensional inventory structure. An attribute is a feature of a product such as color or size. The capacity for managing product attributes allows a proper definition of the products and besides assure compliance with the tracking requirements imposed by the majority of industries. Variable products are a product type in Shopify POS that lets you offer a set of variations on a product, with control over prices, stock, image and more for each variation. They can be used for a product like a shirt, where you can offer a large, medium and small and in different colors. An attribute set or group can be defined by a single attribute or by a set of attributes to apply to specific products. Tracking of regular sell price, list cost, landed cost, average cost, special pricing, minimum pricing, package quantity, points, and spiffs (commission) with Shopify POS.